Just curious if you were able to solve your steering problem? I also have a 420A and the steering is starting to give me problems. It seems to stop working from time to time, almost like the hydraulic power steering were disengaged, or worse. The wheel just stops turning for a bit, like it is locked. I am suspicious of the hydraulic power unit, Thoughts? Did you ever solve problem as I have 420 doing same thing and at a loss. Well, not sure I actually solved the problem! I was ready to start taking things apart, with a focus on upper and lower shaft bearings, per some good advise I had from a very knowledgeable chap on this site. Anyway, I decided to change the oil and put an ISO 100 oil in the hydraulics (SAE 30); I did that, and so far, there has been a significant improvement in the steering. 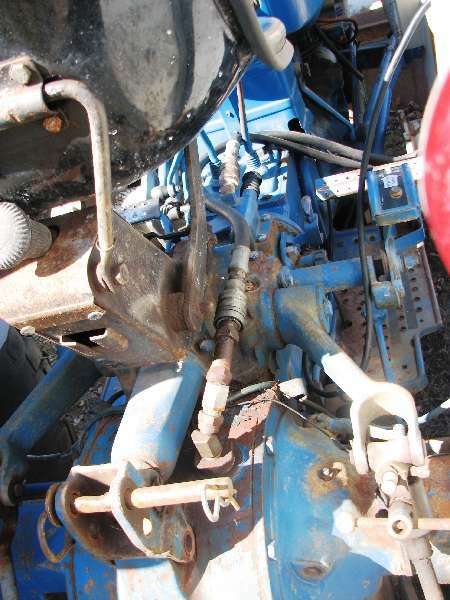 The previous owner had an ISO 46 hydraulic oil in the system, which he had subsequently changed to a 10W30. The straight 30 is of course heavier at operating temp, which for me tends to be cool; in fact, since most of my work is in the woods in winter, the 10W30 hydraulic oil was operating as a 10 weight. The downside of the SAE 30 is with the cold, the steering can be a bit stiff at the cold temps. I am keeping my fingers crossed that my steering continues to work as it now does, in which case I will not do the teardown.